Driver was caught on video by a concerned citizen. Video shows a school bus stopped too close to a city railroad track. 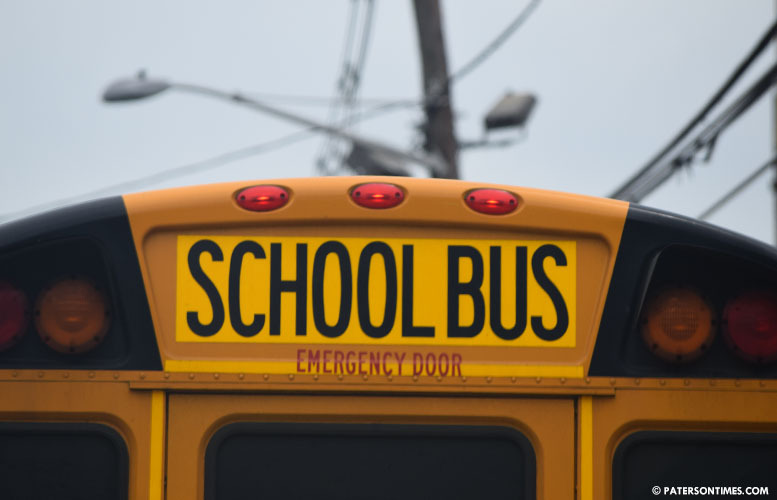 As the crossing gate closed, it hit, and rested on the roof of the school bus, according to a description of the video provided by the school district. Incident caught on video occurred at Madison Avenue and Ellison Street at about 7:50 a.m. on Wednesday morning. A freight train is seen crossing at a short distance in front of the bus. Children are seen in the bus. Bus company name and license plate are not visible in the video, but the vehicle has 14 written in the rear fender. School officials conducted an investigation that identified the driver and the bus company. First Student of East Orange was issued a 1,000 fine, according to the district. Shafer thanked the concerned citizen for recording the incident and sending it to News 12 New Jersey which forwarded it to the district. First Student did not respond to a call for comment on Friday.